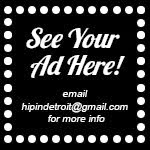 Hip In Detroit: We Tried Floating and You Should Too! Isolation tanks, or float therapy as it is now called, is the latest trend in self-care. It involves being placed inside a silent dark pod that is warmed to body temperature and filled with water that has a high concentration of Epsom Salt. "Floaters" go into a small pod like chamber that blocks light, smell, and sound. The one-hour treatment boasts such benefits as relieving stress, boosting mood, normalizing metabolism, reducing anxiety and depression, reducing insomnia and stimulating creativity. Some people even claim that it can help with addiction. 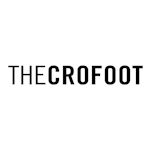 There has been a lot of debate over the benefits or this new therapy, so I decided to reach out to a local float therapy company to give this a try for myself. 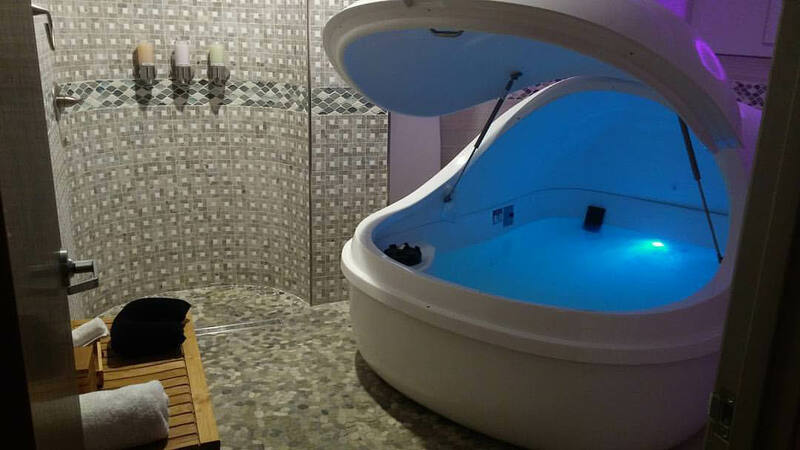 I visited True REST (Restricted Environmental Stimulation Technique) Float Spa in Farmington Hills and talked to Jeff, the owner of the business. He explained the benefits of floating and encouraged me to come by and try it a few times before I decided how I felt about it. Then, he played a video for me to explain how this was going to work. The short film explained some tips and tricks for floating and then an employee took me back to my room. The small room was warm and dimly lit. In the middle of the room was a large white pod filled with salt water. Next to the pod was a small shower, a little bench with towels, ear plugs, Vaseline and some instructions. I took a shower to rinse myself off, put in the ear plugs and used the Vaseline to protect a cut that I had on my knee. Then, I got into the pod. It was warm and welcoming. There was music playing in the background and a dim light to help me find my way around. I laid into the water, relaxed and instantly felt myself floating. Once I knew I was safe, I closed the top, turned off the light and waited for the music to stop so I could relax. Unfortunately, I did everything but relax. I obsessed over where I was going to put my hands and if I was doing it right. Before I knew it the music was back on and I had completely missed my chance to kick back and enjoy. I was disappointed, but noted that my muscles and normal aches and pains felt a little bit better and I slept like a baby when I went to sleep that night. I chalked the first time up to beginners folly and promised I would do "better" the next time. The second time I floated I came prepared. I found out that I could ask for a swim cap to protect my blonde mop and went in with no expectations. I tried to clear my mind as I showered and I got right in to the pod, got into a comfortable position and began focusing on my breathing. Before I knew it, an hour had gone by, I had zoned out and I "woke up" from my float feeling relaxed and invigorated at the same time. Once I stopped worrying about doing it right, I found out that I was able to do it right! The third time was a repeat of the second time, I relxed myself even faster and felt even better after my float. I have a lot of aches and pains from working out hard 5 to 6 days a week and this helped relieve the pain from those ailments for a few days after the float. I would honestly say that floating is worth trying for this benefit alone. I was super skeptical of this whole thing before I got in the pod, but the second I felt the tension leave my ankles for the first time in months, I was more than intrigued. I am not sure if you can "trip out" in the chamber like some people claim and I don't know if it will really help with depression or insomnia, but I definitely felt like I got some physical pain relief and some mental relaxation from being in the pod. 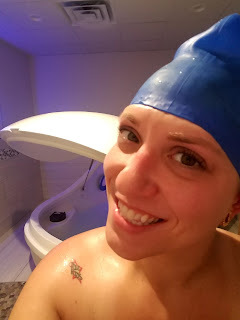 If you decide to try floating, I would encourage you to wear a swim cap to keep the salt off your hair, bring flip flops so your feet are safe, and make sure to bring a spray bottle and a small towl into the pod with you in case you get some salt on your face because it burns! And, if you don't enjoy it the first time, it's worth giving it a second try to see if you can make it work for you!